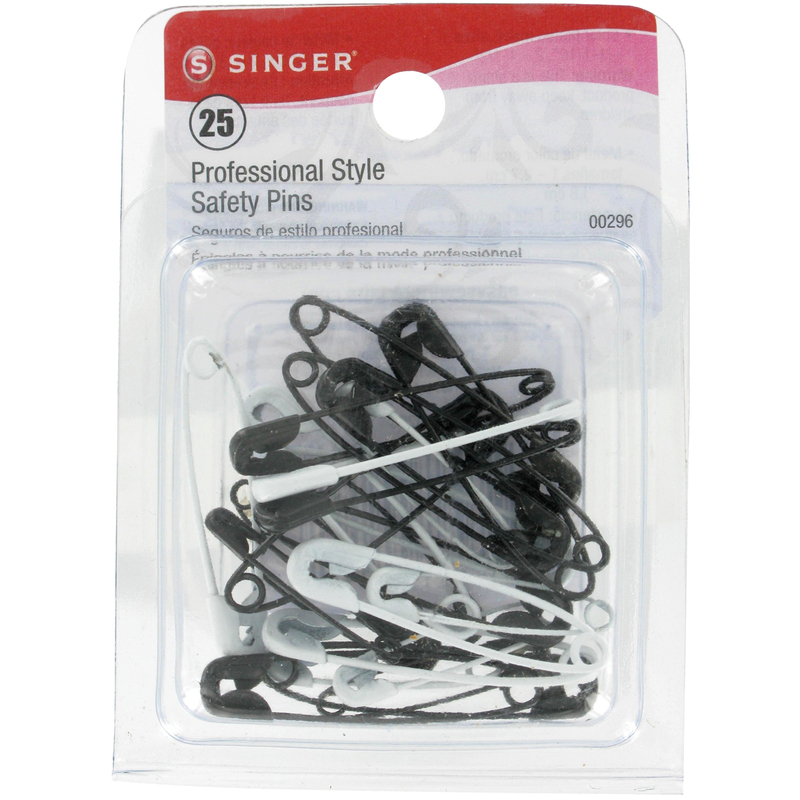 SINGER-Professional Style Safety Pins: Black & White. These safety pins are useful for all your sewing projects, crafts and more. This 2-1/2x3-1/2 inch package contains twenty-five color plated metal safety pins sizes 1 to 1-1/16 and 2 to 1-1/2 inches. Imported.